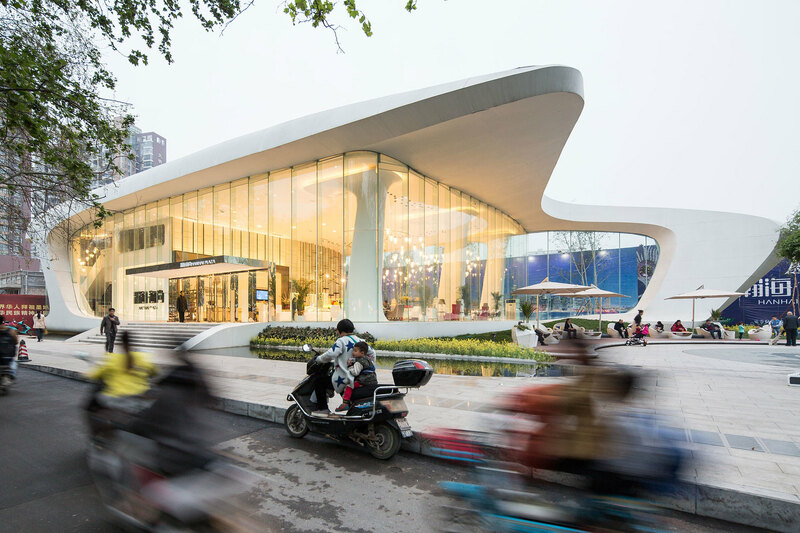 The Sales Center of the Haishang Plaza project has been completed and open to the public. The sales center is a temporary structure to be used as a showroom of the shopping mall, a project that we are currently completing the Design Development Phase. This futuristic and monolithic structure was designed by Amphibian Arc. After serving as the sales center, the client intends to relocate the structure in to the main shopping mall when the construction is completed in 2020.